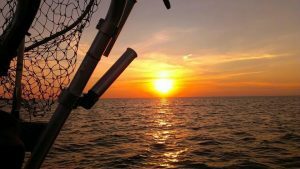 Saginaw Bay Fishing not much was happening on the west side. 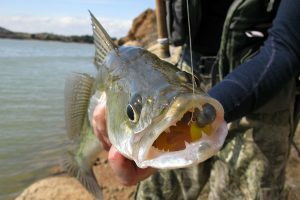 Perch anglers going out of the Saginaw River mouth reported slow fishing. 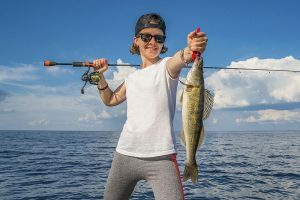 On the east side, perch anglers out of Quanicassee caught a few in eight to 10 feet off the weed beds, in the Slot and in 16 feet off Sunset Bay Marina. Catch rates were still hit-or-miss. Anglers had trouble finding an active school of fish so it pays to move around. 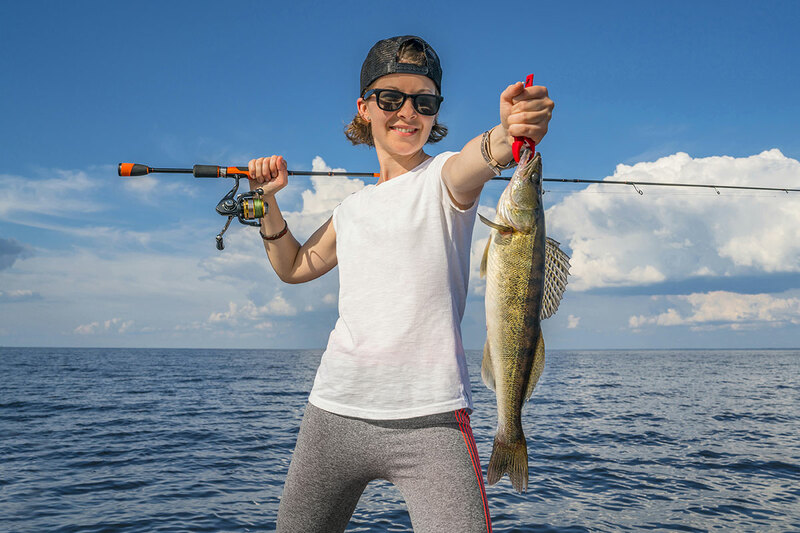 Fair walleye catches from the deep side of the Bar, the west side of the Slot off the islands and in 20 feet off Caseville. They are using mainly Hot-n-Tots in gold, orange and purple. 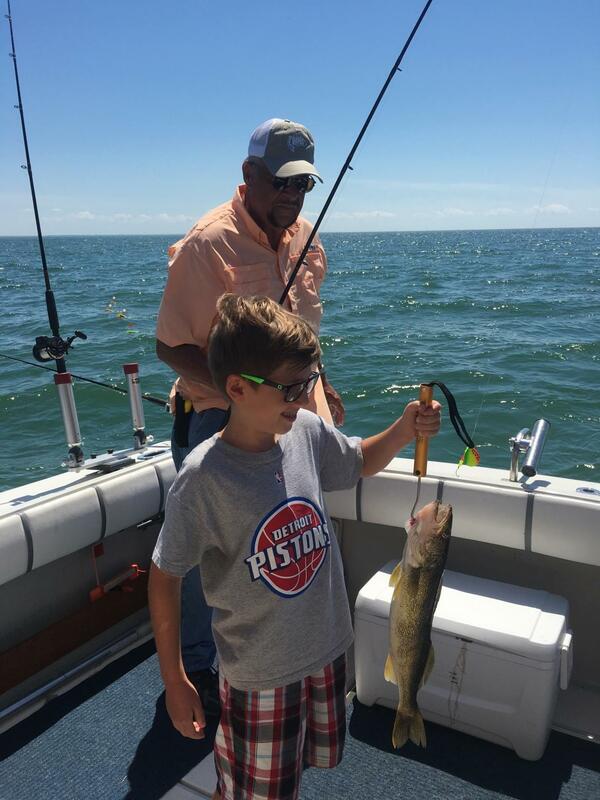 Au Gres Area perch anglers caught a few fish in 15 to 25 feet off Pointe Au Gres. They caught some big perch up to 14 inches. Walleye anglers caught fish straight out from the mouth of the river and off Point Au Gres in 25 to 35 feet. Most are using crawler harnesses. Au Gres River at the Singing Bridge, anglers caught a couple steelhead when casting or still-fishing with spawn bags. Oscoda salmon are slowly starting to come in and around the mouth of the river. Steelhead were caught in 20 to 40 feet. Lake trout are moving in closer to shore. 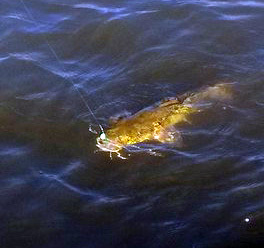 They are hitting on spoons and body baits in 30 to 80 feet. Hot colors were orange, black and silver or blue and silver. Walleye were caught off the pier. Au Sable River no reports yet of salmon in the river but walleye were caught on crawlers and body baits. Port Austin Area had little activity. Pier anglers were taking a few walleye at night. Boat anglers were still getting some lake trout in 135 feet north of the Port Austin Reef. Tawas River a few anglers were casting for salmon and trout. None were caught however a few walleye were taken in the lower river. Known as “the fish of a thousand casts,” the muskellunge can be a tough species to target. 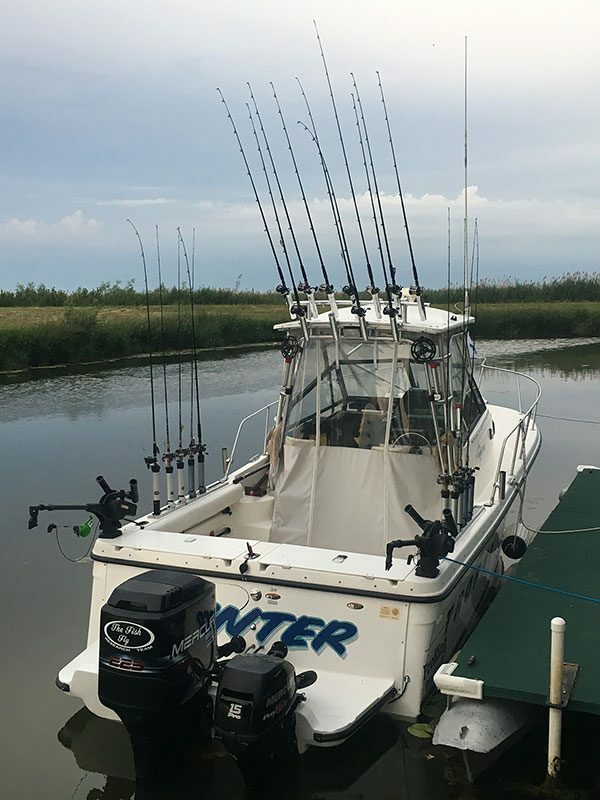 Have you always wanted to catch a big one? Check out this simple tip to try the next time you head out. 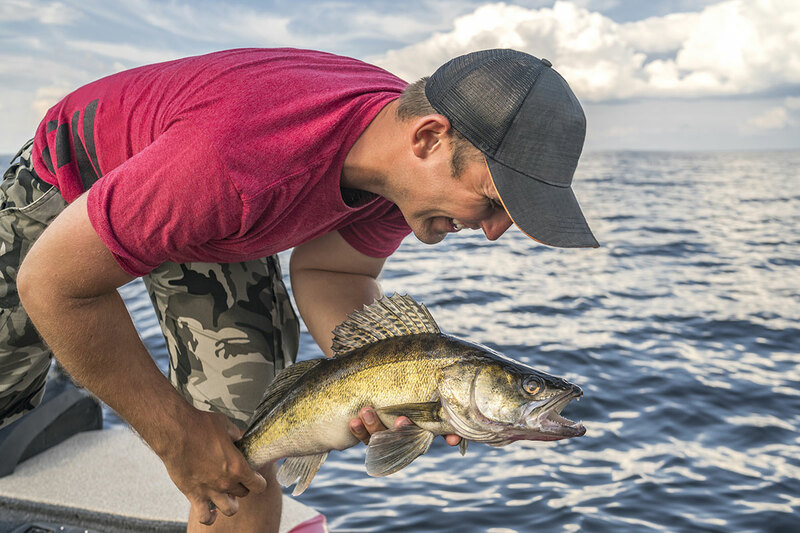 Consider when you’re out on the water focusing your efforts on the corners or inside turns of the lake(s) you’re fishing. These spots consist of bends in the bottom that cause a slight point to form. Muskies will often hide out in these spots, especially if it puts them close to deeper water, excellent cover, and access to food. 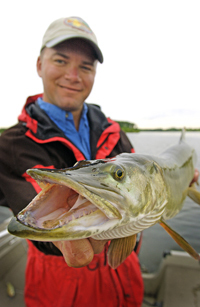 Want even more information on fishing for muskellunge? Check out their page on the Michigan Fish and How to Catch Them website.